In surprise move, China cooperates with U.S.
(by Veronica Stracqualursi, ABC News) – President Donald Trump [announced] on Thursday that China, North Korea’s principal trading partner, has ordered its banks to stop doing business with the rogue regime. “I’m very proud to tell you that, as you may have just heard moments ago, China, their central bank has told their other banks — that’s a massive banking system — to immediately stop doing business with North Korea,” he said at the United Nations alongside South Korean President Moon Jae-in and Japanese Prime Minister Shinzo Abe. [China is North Korea’s main trading partner which allows the regime to launder drug and illegal arms money.] The president spoke after signing an executive order aimed at companies and financial institutions that do business with North Korea. “Foreign banks will face a clear choice to do business with the United States or facilitate trade with the lawless regime in North Korea,” he said. President Trump [said] the U.S. Treasury Department will begin identifying new industries that it can target with strong sanctions, like manufacturing, fishing and textiles. “For much too long, North Korea has been allowed to abuse the international financial system to facilitate funding for nuclear weapons and missile programs,” said Trump. The new sanctions from the Trump administration come two days after he told the United Nations General Assembly that the U.S. would “totally destroy” North Korea if its leader, Kim Jong Un does harm to the U.S. or its allies. 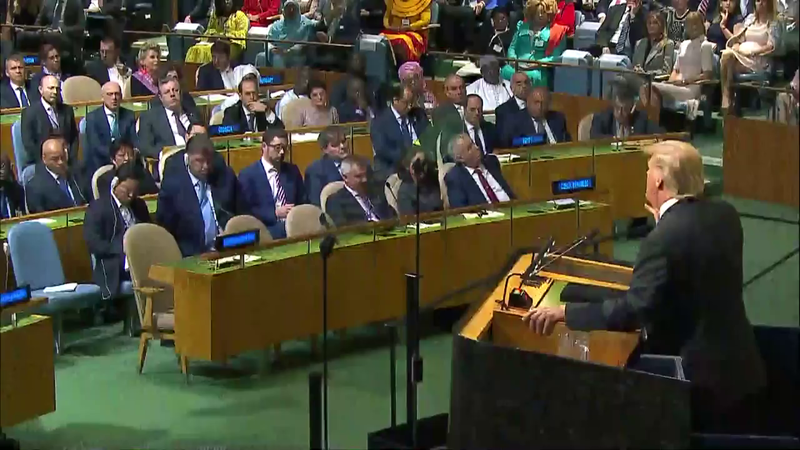 “The United States has great strength and patience, but if it is forced to defend itself or its allies, we will have no choice but to totally destroy North Korea,” President Trump said Tuesday in his first address to the United Nations General Assembly. [These latest developments follow a phone call President Trump had with Chinese President Xi Jinping. The two agreed on “maximizing pressure” on the rogue regime over its escalating weapons program…through vigorous enforcement of United Nations Security Council resolutions,” according to a White House statement. Reprinted here for educational purposes only. May not be reproduced on other websites without permission from ABCNews. Visit the website at abcnews .com. 1. a) What announcement did President Trump make on Thursday while meeting with the president of South Korea and Prime Minister of Japan during UN week? Be specific. b) Why is this good news? 2. a) What are sanctions? b) What new U.S. sanctions did President Trump implement in an executive order prior to the move by China’s bank? c) What did President Trump say would be the result of his executive order? 3. a) What other industries will the Treasury Department target with sanctions, according to President Trump? b) What is the goal of the new sanctions imposed by the Trump administration? 4. a) What did US Treasury Secretary Steve Mnuchin say about banks doing business with North Korea? b) What is the objective of these sanctions, according to Secretary Mnuchin? 5. 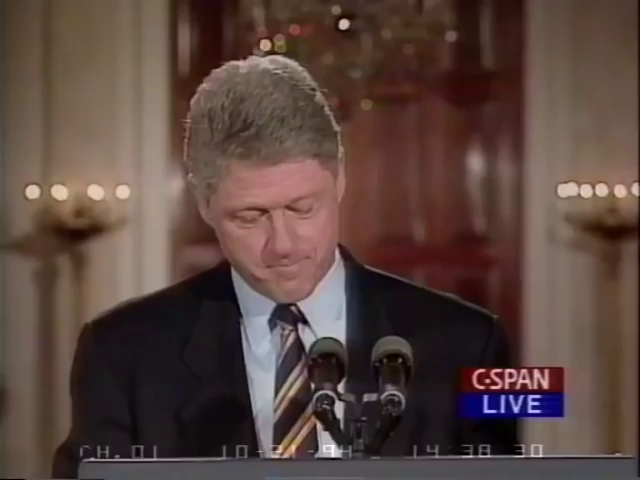 In 1994, then-President Bill Clinton made a nuclear deal with North Korea. (Watch the video under “Resources” below.) President Clinton said it was a good deal that would prevent North Korea from obtaining nuclear weapons. Unfortunately, it did not work out as hoped. Through the two terms of President George W. Bush and then two terms of President Barack Obama the U.S. tried negotiating with North Korea through various types of diplomacy, agreements and sanctions. Yet North Korea’s nuclear program progressed. Watch President Trump’s statements to the UN about North Korea under “Resources” below. 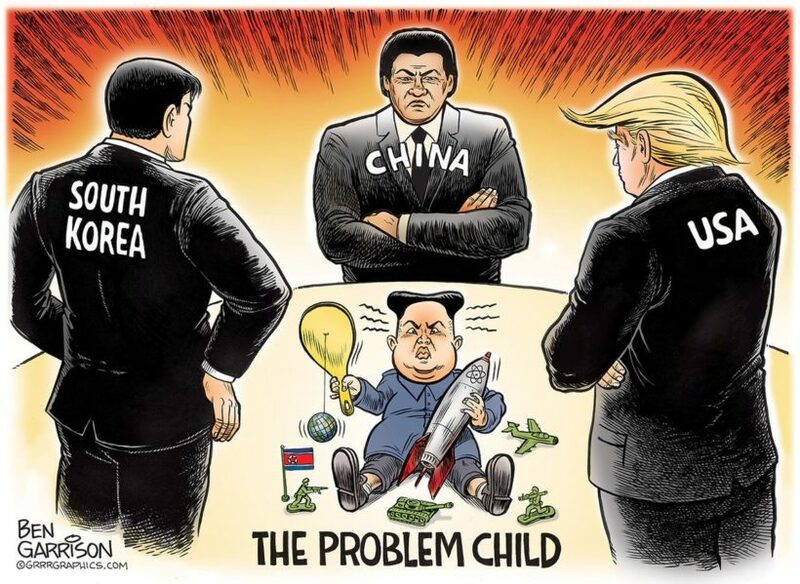 He talks in a much more direct manner than previous presidents and has succeeded in getting China to order their banks to stop doing business with North Korea. a) Do you think President Trump will succeed in stopping North Korea before they are able to use nuclear weapons against the U.S. or our allies? Explain your answer. b) Ask a parent or a grandparent the same question. (Remember, they have lived through this recent history and will be able to offer you a perspective you don’t have.) Discuss your answers. Do you think the U.S. and the UN are powerless to contain North Korea’s nuclear program? Can the Trump administration succeed where previous presidents have failed – or is he naive and should just either leave it up to the UN or resign the world to the prospect of a nuclear North Korea? Please explain your answers.